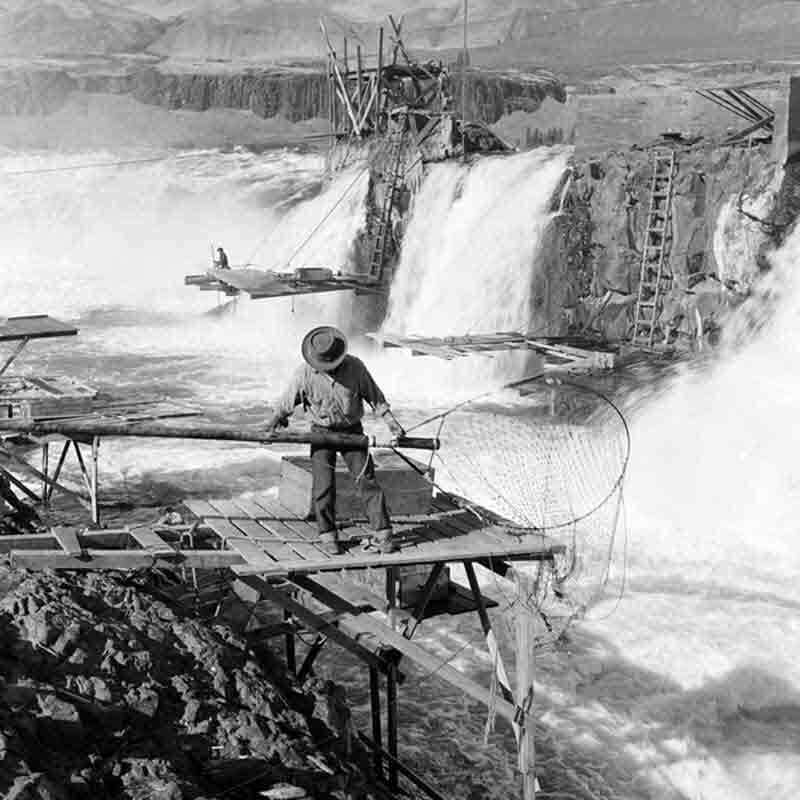 Celilo Falls (Wyam, meaning "echo of falling water" or "sound of water upon the rocks," in several native languages) was a tribal fishing area on the Columbia River, just east of the Cascade Mountains, on what is today the border between the U.S. states of Oregon and Washington. 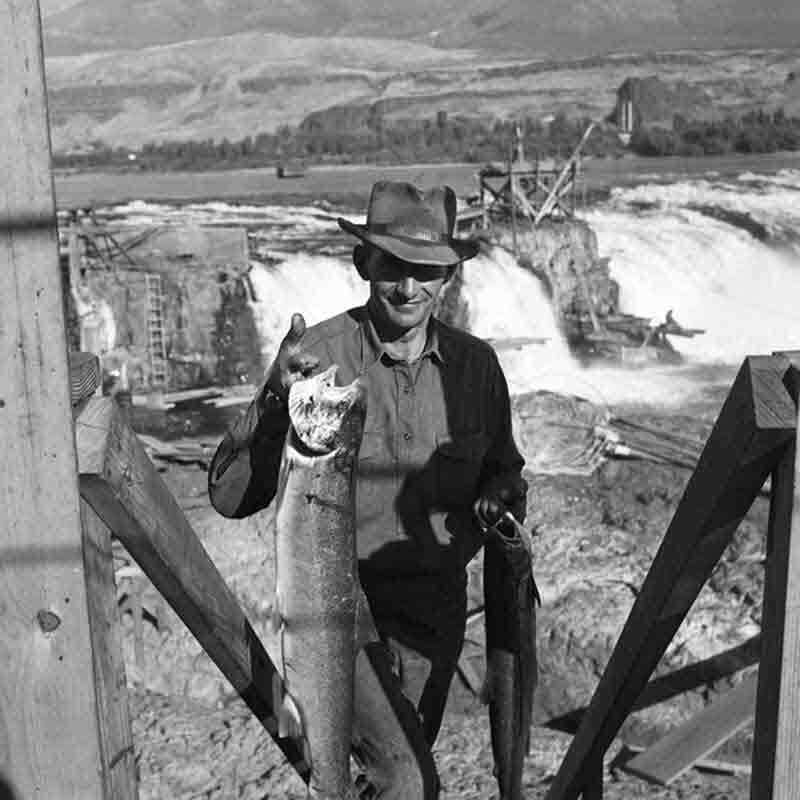 The "Happy Fishing Ground", owned by the Wyam Indians, at the Columbia River between Oregon and Washington is endangered to be destroyed through the construction of the "Dallas Dam". 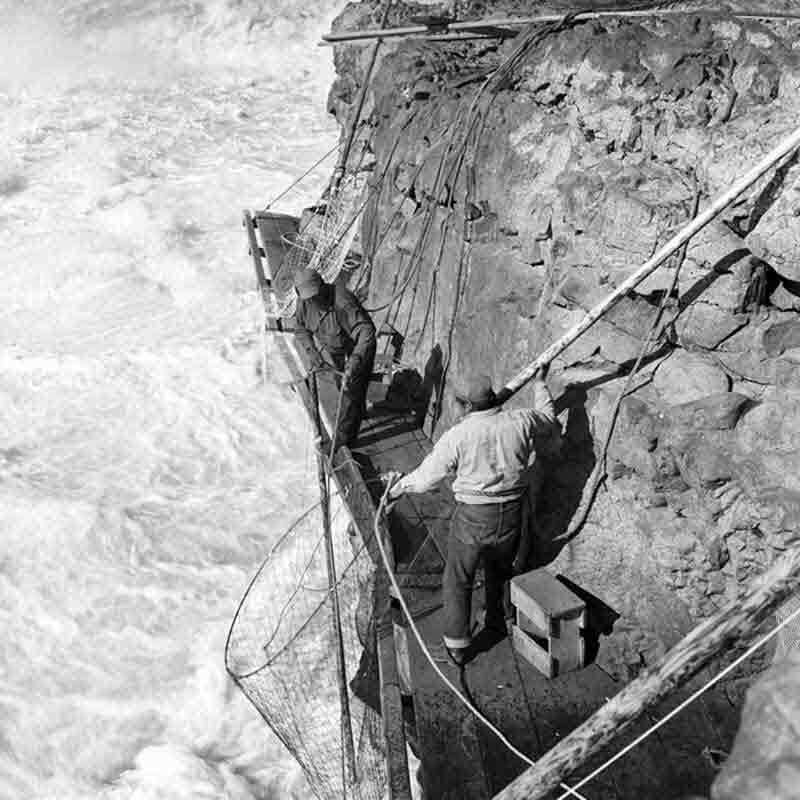 During the Fishing Season (April-October) up to 5000 Indians from the Umatilla, Yakima and Warm Spring Reservations come here. 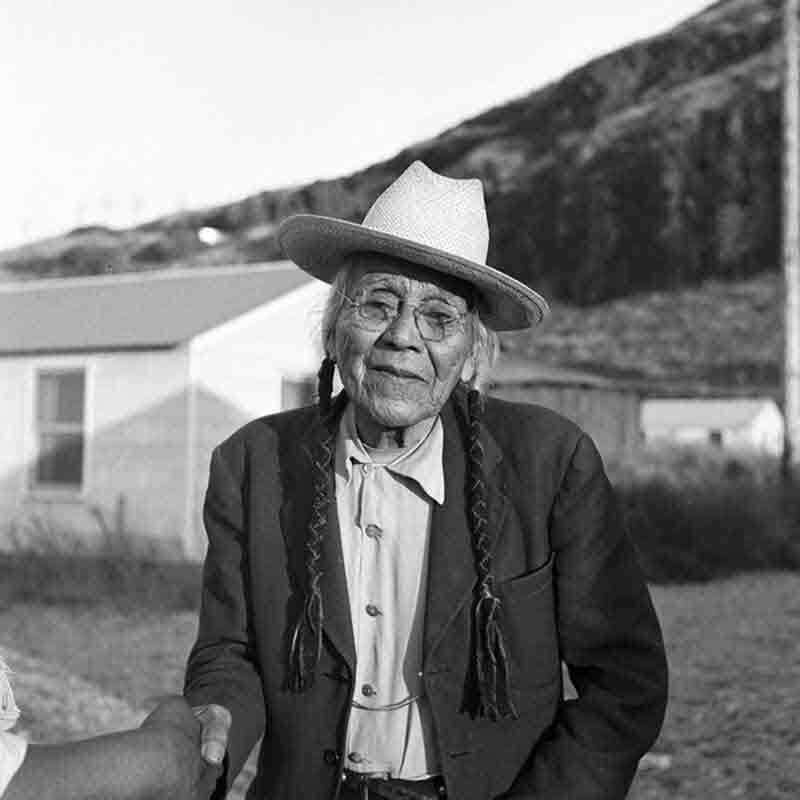 Native settlements has existed here in various configurations for 15,000 years. The Building of the Dallas Dam which will supply a nearby electric power station, means the loss of their income and their ancient tradition. The torrential River will be replaced by a quiet Lake. In the 19th century the Indians were given the exclusive right of the Columbian River by decree of "the white man". Once again the Native Americans learn what these promises are worth. They are now promised apartments and money as compensation for their fishing grounds. The Indian Families are disgusted by the way the government treats them. The fate of the 20 local families is particular hard. Not only their livelihood is jeopardized, they also have to leave their property. They are outraged by the developments, and this time they want to fight for their right. 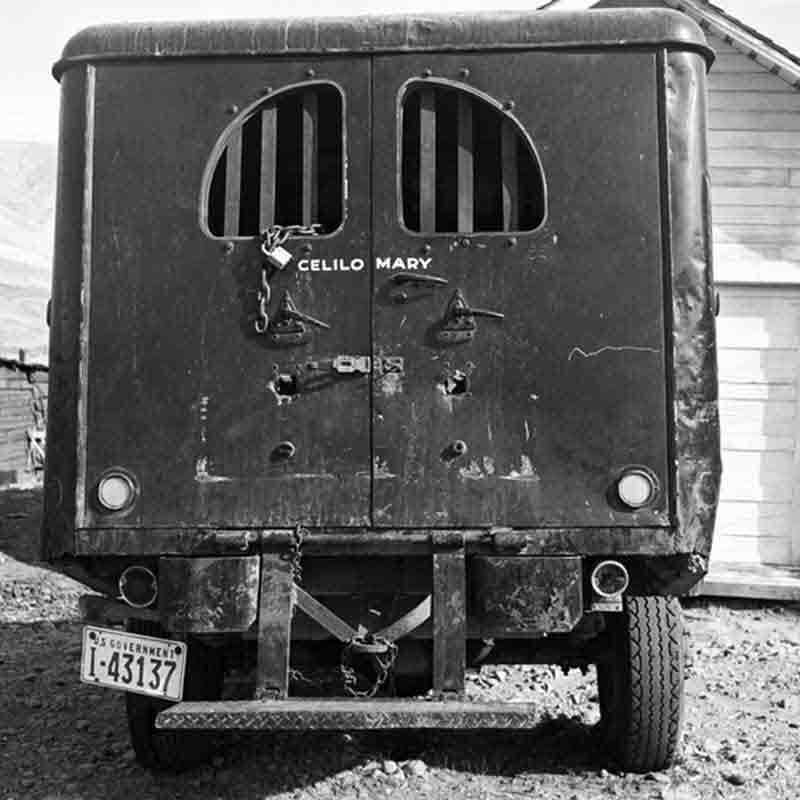 On March 10, 1957, hundreds of observers looked on as a rising Lake Celilo rapidly silenced the falls, submerged fishing platforms, and consumed the village of Celilo, ending an age-old existence for those who lived there. 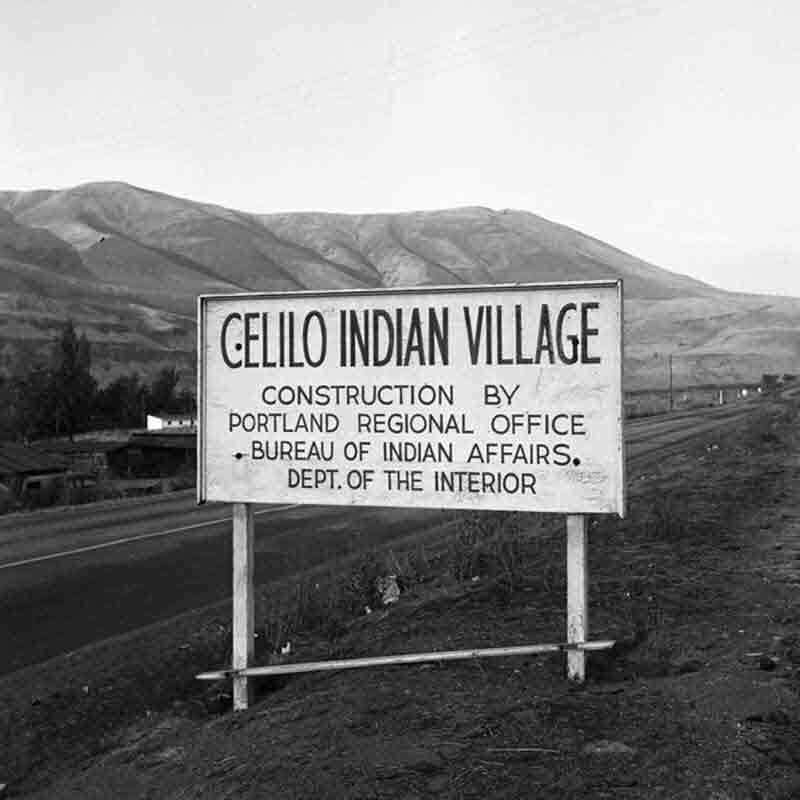 A small Native American community exists today at nearby Celilo Village, on a bluff overlooking the former location of the falls. 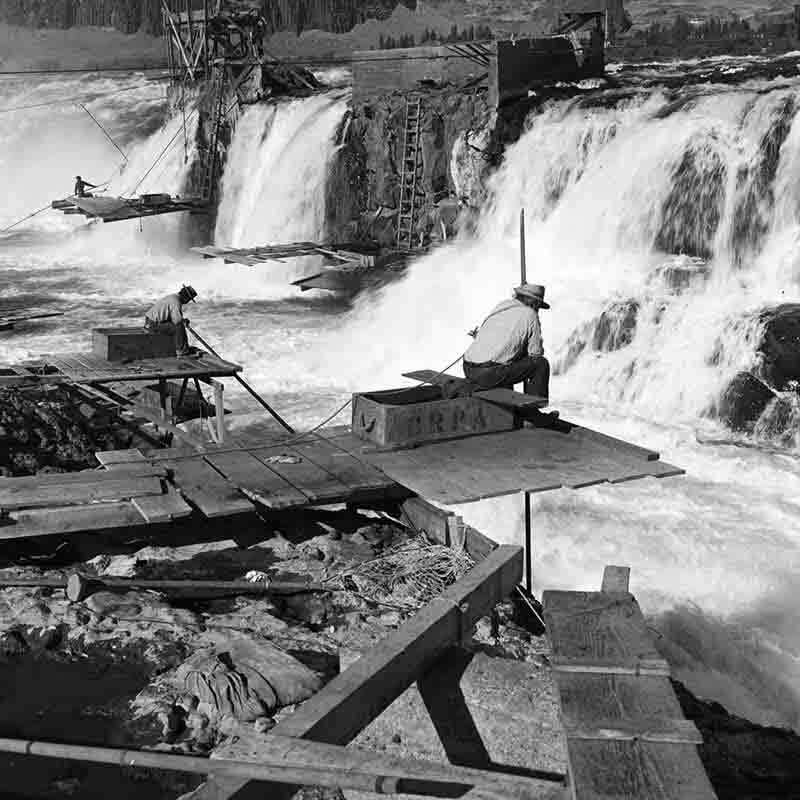 In 2008 the Army Corps of Engineers completed a survey of the Celilo Falls site using sonar technology, in response to the 50th anniversary of the flooding of the falls. The survey revealed that the falls remain intact below the artificial lake.